The shock rocker has come to Salem, and he’s ready to slice and dice you to perfection. Think a TV-friendly Sweeney Todd, mixed in with a little J.S. Steinman and Sander Cohen from Bioshock. I mean, just look at all that creep. TLC’s got nothing on it. 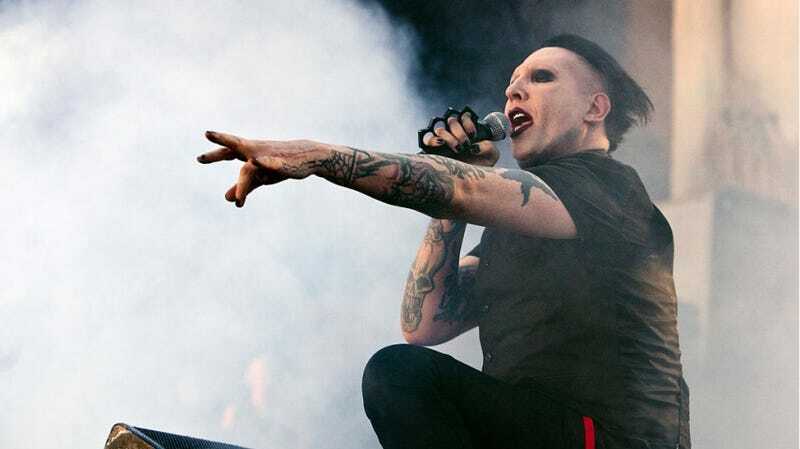 Manson has previously appeared on shows like Californication, Eastbound & Down and Sons of Anarchy. He’s also well established on Salem itself. Manson’s song “Cupid Carries a Gun” was turned into the show’s main theme song, with help from Salem composer Tyler Bates. Salem is currently entering its third season. Last we left off, the devil was unleashed and, instead of helping the witches like they wanted, he’s settled down and made Salem his base of operations. The witches are now going to have to team up to stop him. Will our Demon Barber help our witches, or is he too busy shoving leeches down his throat? Only time will tell. Salem returns during Halloween Week. In the meantime, check out Manson in all his unsettling glory.